Come out to our Annual 5K Trail Trot!! As a team we travel several times a year to out-of-state competitions. As you can imagine, we have a high overhead for a non-profit sport with the cost of vet bills, travel expenses, and equipment. The proceeds of this 5K Trail Trot will be used to purchase necessary equipment and help with travel expenses for our upcoming 2019 competition season. A portion of the proceeds to benefit Horse Time, Inc. 501 (c) 3 a therapeutic riding and vaulting program. The event will take place, rain or shine, at Falconwood Farms on March 23rd, 2019, at 10:00am. The fee for the race, including a t-shirt, is $20 early registration and $25 if postmarked after Friday, March 8, 2019. We will welcome participants on the day of the race with the $25 participation fee (t-shirts may not be available on the day of the race). We will also have a 1 mile Fun Run for children 12 and under. The Fun Run will begin at 9:30am and will be one mile. A parent must be present for a child to participate. The cost for the Fun Run is $12 early registration and $15 if postmarked after Friday, March 8, 2019. The parent does not need to pay to walk with the child. Rain or Shine, Please join us on March 23rd!! Download the Trail Trot Registration Form! Want to become a Sponsor of the 5K Trail Trot? Download the Sponsor Packet! 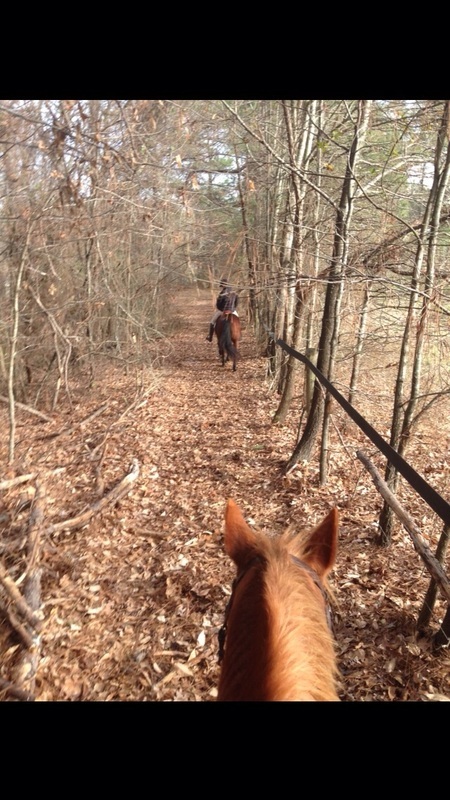 ** Pictured above is a preview of the trails - please note, this is a run/walk and not on horseback!